Definition: Any two figures are said to be CONGRUENT if and only if one can be mapped perfectly onto the other using any 1 or composition of 2 (or more) ISOMETRIES. 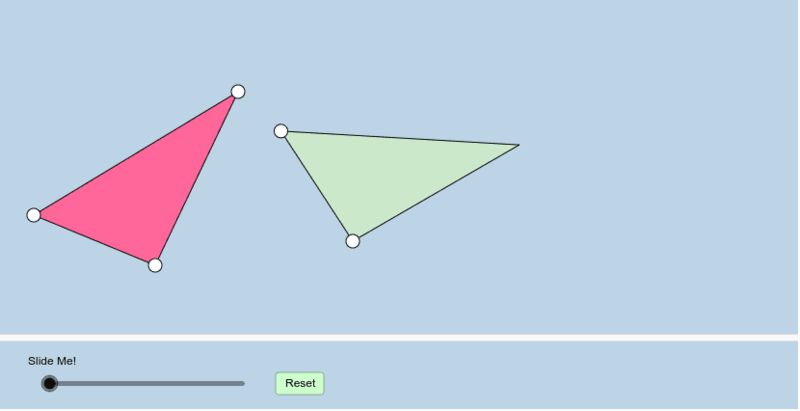 The applet below dynamically illustrates, by DEFINITION, what it means for any 2 figures (in this case, triangles) to be CONGRUENT. Feel free to move the BIG WHITE VERTICES of either triangle anywhere you'd like at any time.